Let’s face it….there’s probably never a convenient time to be injured and on crutches. 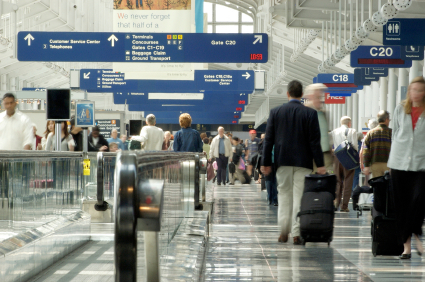 But, if you are injured during summer vacation season, you may find yourself wondering how to navigate airports and flying with your crutches. Understand that it’s going to take you little longer to get around. Give yourself an extra hour or so to avoid the stress of having to rush. Are crutches considered a carry-on item? Airlines allow crutches as an additional approved carry on item, like a jacket. However, if you do plan to use carry-on-luggage, consider opting for a backpack instead of a roller suitcase that will be easier for you to carry. What about security - do my crutches need to go through the X-ray machine? Crutches will need to go through the X-ray machine. If you have a cast or brace, security officers will examine it and likely screen it with a hand wand. During this time, you can ask to sit down once you have passed through the screening device. If you’ve had surgery and have any metal pins or plates, know that titanium may not set off the security alert, but it might be a good idea to alert the TSA. Can I get any help getting to my gate? How will I get to my seat, and where will my crutches be stowed? If you requested wheelchair assistance, airport staff will transport you down the ramp to the aircraft. Once on the aircraft, you might be comfortable using your crutches to get to your seat, or, you may use an onboard wheelchair designed to fit through the aisle. Flight attendants will then stow your crutches, and assist you with the onboard wheelchair as needed during the flight. 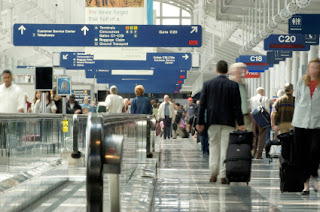 These recommendations are based on accommodations provided by most major airlines. Please check with your individual airline prior to your trip.